This is the last week that you can grab a discount on our anti snap cylinder promotion. 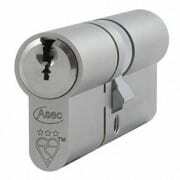 All TSOO7 1 Star and 3 Star cylinders carry 30 % discount. With discount a 1 Star is £23.00 and 3 Star is £35.00.